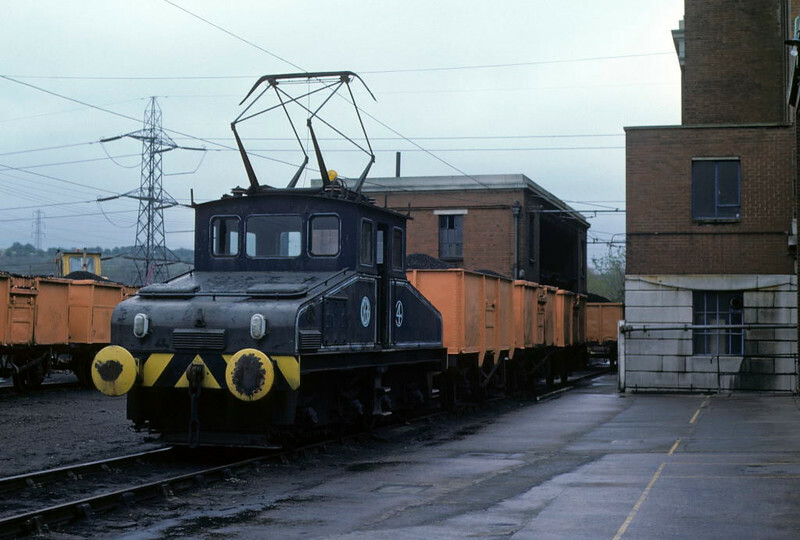 14 photos of three electric locos at Kearsley power station and a battery loco at Bolton power station. No 4, Kearsley power station, Bolton, Sun 29 April 1979. Robert Stephenson & Hawthorn Bo-BoWE 7284 / 1945. Now preserved at the Electric Railway Museum, Coventry. Photo by Les Tindall.